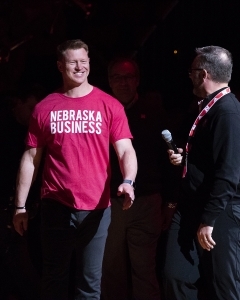 LINCOLN – Scott Frost was chucking t-shirts into the crowd. 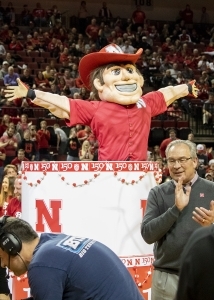 Herbie Husker leaped out of a fake birthday cake. Streams of confetti poured down from the rafters as Nebraska Athletic Director Bill Moos smiled and waved at the crowd. No, it wasn’t the Nebraska basketball team celebrating their first win in seven games. It was a halftime ceremony commemorating the University of Nebraska-Lincoln’s 150th anniversary. The Huskers did however, finally get that win they have long been searching for. It quite take 150 years (it was really about a month), but it certainly must’ve felt like it for Nebraska basketball head coach Tim Miles. 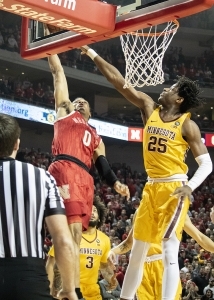 Wednesday night, the Huskers snapped their seven game slide, topping the Minnesota Golden Gophers, 62-61. James Palmer Jr. put in a performance worthy of his Lute Olson and Wooden Award watch list recognitions, scoring 24 points, hitting the go ahead free throws with just over a second left to win the game. Palmer wasn’t the only Husker to find his rhythm offensively. Wednesday night marked the first time in five games that Glynn Watson had hit double digits. He finished with 19. Also, Nebraska shot 50% from the field for the first time since the Creighton game. Nebraska actually led in the first half, a feat they had not achieved since they played Rutgers on January 21st. The Huskers though, still had to rally back, as they trailed by 11 at one point, the largest deficit they were able to overcome this season. 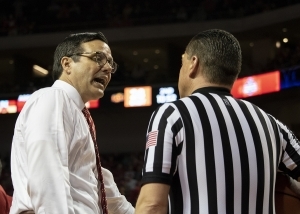 But those details will be lost in the relief that the players and Nebraska basketball head coach Tim Miles feel. “I mean, if you lost seven straight and you finally won one, you’d feel good, right?” Palmer said of the victory. 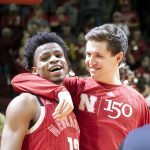 Nebraska forward James Palmer Jr. begins the scoring for the Huskers in the opening moments of Nebraska’s 62-61 victory over Minnesota Wednesday night. Palmer finished with a game-high 24 points. Nebraska won’t have much time to rest on their laurels – they’ll be back at it again on Saturday to take on Northwestern. For now though, Husker fans can take a breath. Call it the miracle on maple – the Huskers have finally ended the drought.